Former Army Black Knight Collin Mooney, the team’s single-season rushing leader, rose from the Tennessee Titans’ practice squad to the game-day roster late last season, playing in his first two NFL games and even making the stat sheet — five carries, 19 yards. 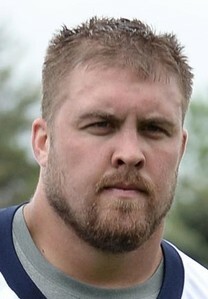 Former Air Force Falcon Ben Garland recorded 115 tackles as a collegiate defensive lineman and spent all of 2012 in that same position with the Denver Broncos practice squad, only to transfer to offensive guard in preseason workouts this year in a move designed to improve his chance to make the 53-man game-day roster. Despite Mooney’s game time and Garland’s position switch, neither man made the final NFL roster cut, which went down over Labor Day weekend. But both will return to their teams’ respective practice squads for 2013, according to NFL.com’s official list. Both reacted positively to the news, at least according to their Twitter accounts. Former Redskins fullback and Navy standout Eric Kettani was cut in an earlier roster drawdown and was not on the Redskins’ official practice-squad list. He is a free agent, eligible to sign with any NFL team (regular roster or practice squad). 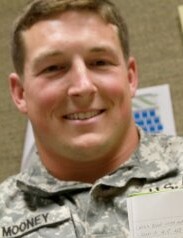 All three men continue to serve as reservists; Mooney even earned a medal earlier this offseason.